Today, adidas Tennis joined the fight against marine plastic pollution by releasing the first ever Parley tennis collection made from Parley Ocean Plastic™. The collection for the Australian Open will be debuted on court by leading players including ATP Finals winner Sascha Zverev and reigning Australian Open champion Caroline Wozniacki. With the tournament and city, Melbourne, known for its iconic coast meets city landscape, the collection aims to create change and inspire the industry, athletes, spectators and fans to better protect the Oceans. True to the ethos of the adidas x Parley partnership, the adidas Australian Open collection has been designed to create change. Apparel and footwear are made with Parley Ocean Plastic™ — Parley’s material created from up-cycled plastic waste intercepted on beaches and in coastal communities— helping to combat marine plastic pollution, raise awareness and champion eco-innovative solutions to one of today’s most pressing environmental issues. The Australian Open Parley collection has been designed to make a statement on the court. 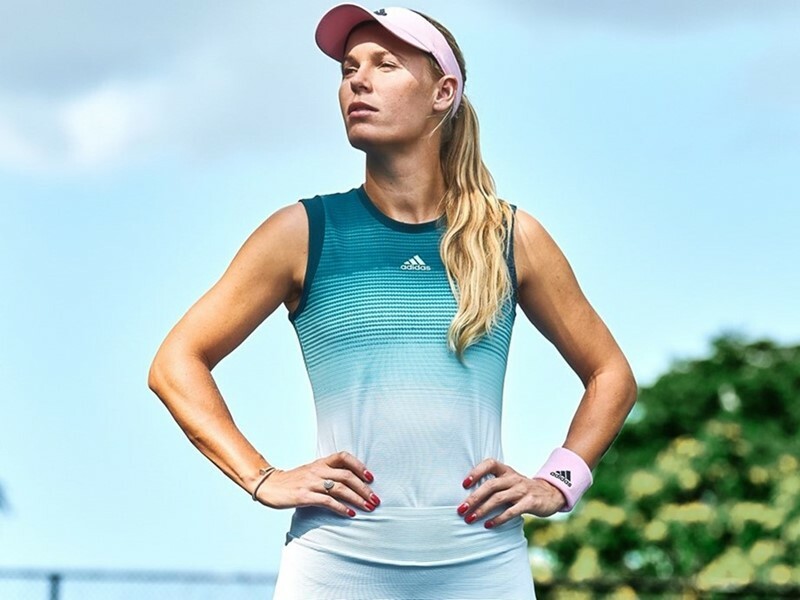 In the women’s collection, athletes including the defending champion Caroline Wozniacki and Angelique Kerber and Jelena Ostapenko will wear the Parley Tank; a slim fit tank with a design inspired by the different sea levels in the ocean which features a breathable 3D structured Climalite fabric that keeps you cool even in the Australian heat and Garbine Muguruza will wear the Parley dress. The collection also includes the Parley tee; which also features a breathable 3D structured Climalite fabric. In the men’s collection, Sascha Zverev will wear the Parley printed tee, Lucas Pouille will wear the Parley striped tee and the Parley Polo will be worn by Dominic Thiem and Jo-Wilfried Tsonga. All three tops include an underarm gusset for freedom of movement, a ForTheOceans elastic back neck tape and a 3D structure on the inside of the fabric for reduced cling. All athletes will wear Parley shorts which have stretch woven material with a mesh elasticated waistband for additional ventilation. The Australian Open also sees the on-court introduction of adidas tennis’ latest footwear franchise – the SoleCourt BOOST, which has been made from Parley Ocean Plastic™ for this collection. The SoleCourt BOOST is a combination of premium materials, state-of-the-art innovation and proven craftsmanship creating a comfortable, lightweight, stable and durable tennis shoe on the court for the all-around player. 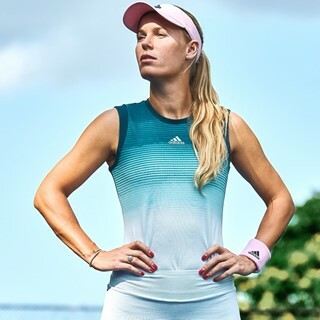 The 2019 adidas Australian Open x Parley collection is available online from Wednesday 2nd January 2019 at http://www.adidas.com/tennis.